I acknowledge there is no guarantee of hatchability on egg orders and agree with ALL the Terms and Conditions set forth within the corresponding tab below. 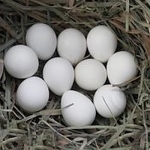 We cannot guarantee hatchability on eggs; the percentage of your hatches will depend upon the settings on your incubator and care provided during maturation. 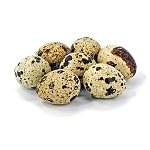 Valley Quail eggs should be kept at 99.5 F under forced air (101.5 in radiant heat) and a wet bulb of 86 F in an incubator. Eggs should be placed small end down and turned 90 degrees three times a day. On the 14th day the eggs should be placed on their sides in the hatcher. The hatcher should be set at 99 F with a web bulb of 87 F.
Around the 16th-18th day the eggs should hatch. 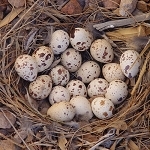 If eggs are to be held any length of time before they are set, they should be kept small end down, turned three times daily and at a temperature between 60-68 F.
Once hatched chicks should be kept at 90 F for the first week and drop the temperature 5 degrees per week. Feed a good starter 28-30% protein. The eggs should be turned 90 degrees at least 3 times per day to prevent the embryonic membranes from sticking to the shell. Always be sure hands are free of dirt and grease when handling eggs. Stop turning the eggs 3 days before the eggs are to hatch, for valley's that is on day 14. 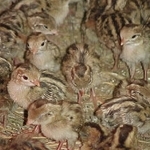 Valley Quail hatching eggs are in limited supply and are in high demand. Get your orders in early to ensure availability. NOTE!! These eggs are collected daily and are shipped to our customers within 3 days of collection. We ship a 4% overage in case of breakage during shipment. Due to supply and demand, orders are fulfilled in the order they are received and will ship based on availability. Payments will be captured at the time the order starts processing. Once an order status has changed from "New" to "Processing", it cannot be canceled, no exceptions! 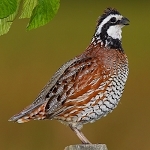 Eggs will be shipped from one of our game bird farms located on the East Coast. USPS Priority Mail guarantees delivery within 2-3 business days to most locations depending on flight schedules as well as airport proximity to your delivery location.We do not ship on the weekends, shipments are made Monday - Thursday so deliveries can be made Tuesday - Saturday. Shipment may be delayed due to weather conditions. 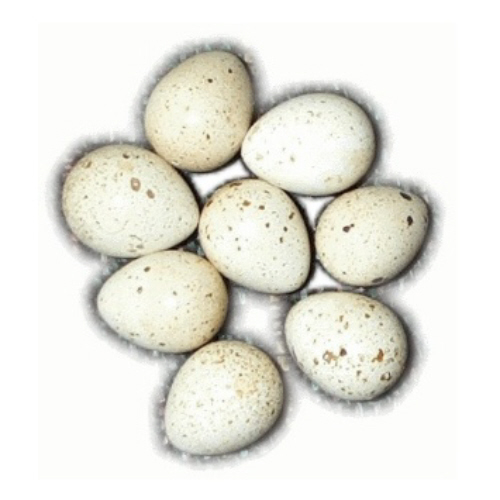 Due to circumstances beyond our control, we cannot guarantee hatchability of these eggs. The percentage of your hatches will depend completely upon the settings on your incubator and the care you provide during maturation. However, we do establish fertility and hatchability before we ship any hatching eggs. You must accept these terms and conditions by clicking the check box in the Acknowledgement section above before this item will be added into your shopping cart.